These days, you don’t need a television set or cable package to enjoy full episodes your favorite TV shows whenever you want. 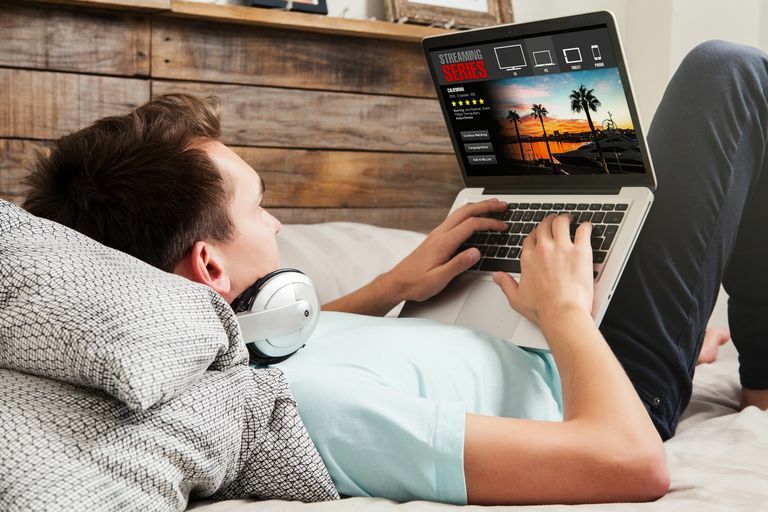 There are plenty of websites out there that let you stream free TV shows online that include some of today's most popular programs; connect your device to a TV for a night of comfy couch-surfing. You just need to know where to look. If you're going to use an unofficial site to watch free TV, you'd best do your research to find out from other users whether it's safe to do so first. Steer clear of any troublesome sites and check out the following high-quality, trusted streaming TV sites instead. We also keep an updated list of free movie streaming sites too! Did you know you can watch streaming television on any device that can uses data plans? iPhones, as well as Android phones from makers like Samsung, Google, Huawei, Xiaomi, etc. are all capable of streaming both movies and television shows. Great availability on many different platforms. Not much content unique to the service. With Crackle, you can watch full episodes of your favorite TV shows (in addition to movies) and and create personal watch lists so you can keep track of everything you're watching. Because it's a totally free service with accessibility across multiple major platforms (including mobile with the free Crackle app), there are some commercials rolled into the programming. Regardless, Crackle is a great alternative that you can enjoy viewing on your computer or with one of its apps on your mobile device. All you need to do is create a free account to start watching. Just click the TV tab in the top menu or search for a show title, choose the episode you want and enjoy. You can also use filter options to browse through shows based on genre, alphabetical order, recently added, full episodes, clips, trailers and what's coming soon. Broad network of content partners. Tubi is another incredible alternative to the online TV world that operates legally through license agreements. And just like Crackle, it also includes movies. Tubi TV is totally free, and you can actually just click on a show and start watching without even setting up a free account. It's worth it to sign up for an account and start watching, however, because the platform will start tracking your viewing history so that it can learn about your preferences to make better suggestions for you. Browse through all your standard categories like Action, Drama, Comedy and others or take a look at some of the interesting categories like Cult Favorites and Highly Rated on Rotten Tomatoes. With over 40,000+ shows and movies available and more being added all the time, Tubi TV is quickly growing to become a TV favorite for internet users everywhere. You can even download the Tubi iOS or Android app to take your TV watching on the go. Eclectic collection of content, including stuff hard to find elsewhere. Much of the content is either old or hyper-niche. While Popcornflix is mainly known for its great range of full-length movies, documentaries, foreign films and original web series, it's also a great place to check out for unique TV shows that are hard to find anywhere else — including cable TV. If you're a millennial looking for some serious childhood nostalgia, you'll want to check out Popcornflix's 90's TV offering featuring classics like The Legend of Zelda, Sonic the Hedgehog, The Adventures of Super Mario 3 Bros. and more. Its TV show offering isn't exactly huge, but it might be worth checking out if you're looking for something different. Preroll ads will also play when you start watching, but you can start watching anything without having to sign up for a free account if you're just looking to try it out quick. Baked into existing Yahoo ecosystem. Networking emphasis makes content discovery more challenging. Right after Hulu ended its free streaming option and switched to a subscription-only model back in August of 2016, Yahoo partnered with Hulu and launched a new service called Yahoo View, featuring a large collection of content that used to be freely available to watch on Hulu. Anyone within the US can watch the latest five episodes of popular shows that air on ABC, NBC and FOX for up to eight days after they've aired. Yahoo View is a great one-stop shop for all your favorite shows you may have missed as it aired on cable TV. Emphasis is on the fan community. Social discoverability and trend reporting. Network of popular affiliates, including Hulu, partner with the service. ShareTV is a search engine-like hub for TV shows (as well as movies). Described as a community-based website for fans of network television, the site claims to have every show you could possibly think of — complete with countdowns to the next new episode. Browse through genres or check out What's New Tonight and Trending Shows. Simply click on a show and use the checkbox options for Free, Purchase, Subscription or TV Everywhere to find what you're looking for. Clicking on an episode will expand a summary and list of sources where you can watch it. Acts more like a search engine, or discovery tool, than destination portal. Covers the basic pay services. Points you to services you may have already paid for. Not optimized for actually delivering movies and TV. Similar to ShareTV, Yidio is a TV show source aggregator that points you in the direction of other third-party hosts where you should be able to watch a particular episode. In addition to using the right sidebar to browse by genre, you can use the menu at the top to filter available shows by what's available on several premium streaming services, but if you're looking for something to watch for free, you'll want to select the Free filter. When you click on a show, you'll be shown a summary based on IMDb info along with several thumbnails of episodes that are available. Click on any thumbnail to be taken to the specific episode listing. The downside to using Yidio is that its free listings aren't the most accurate or update to date, and you may come across a show that only has short clips rather than full episodes available to watch for free despite its listing in the Free category. There are lots of ads to Amazon, Google Play and iTunes in the way, but if the episode is indeed free, links to free sources (such as YouTube) will be available at the very bottom for you to click on. Most people are already familiar with YouTube's interface and search tools. Lots of related content, like fan cuts or highlight reels from movies and TV shows. Strictly, most of the uploaded videos aren't licensed, making it likely that some infringement is going on. YouTube is not intended to deliver movies or TV shows; it's optimized for user uploads. Lots of people don’t realize that YouTube is actually a great place to look for television shows. While you won't exactly get access to the most current or popular shows (unless you pay), nor a guaranteed high-quality viewing experience, you might still be pleasantly surprised by what's available on the web’s largest video sharing network. Just search for a show title and see what comes up. For example, if you search Boy Meets World — an old ABC family sitcom from the 90s — several uploaded episodes from virtually every season will come up. On the other hand, if you search for Grey's Anatomy — a more current and popular television drama — you'll notice results will come up where you'll have to pay a fee to stream it legally on YouTube. Good selection of channels, with a focus on British television. Free tier is basically an inducement to pay for a subscription package. Ad presence seems a bit heavier than other options. Free channels include popular ones like BBC 1, Discovery, ITV, Dave, Five, History, Lifetime and many more. All you have to do to sign up is create an account with your email address, verify your account creation and start watching! Obviously, the big downside with this one is that it's restricted to users in the UK. If you're located somewhere else, like in the US, you can still create an account and sign in, but if you try to watch something, TVPlayer will first check to make sure you're in the UK and will block access if you're not. Given that so many people have discovered the many advantages of Virtual Private Networks (VPNs), it's possible that you could get around TVPlayer's geographical restrictions if you tried. Having said that, more streaming services are seriously cracking down on the VPN trend (like Netflix for example, so don't be surprised if TVPlayer doesn't work with your VPN either! See our Best VPN Service Providers list if you're interesting in trying out that route. Don't Forget Your Favorite Network's Website! If you have a TV show you love and you want to watch it for free because you missed it or maybe you don't get that channel, a great way to catch up on it is to visit the network's website and see if it's available for streaming. All of the networks below show some full episodes but also clips as well. NBC: NBC does a great job of quickly posting and keeping their TV shows around so you have plenty of time to watch them. It's even possible for you to catch up on an entire series right from their website. ABC: They have full-length videos of the latest episode of every show as well as video clips, highlights, and sneak peeks into all your favorite ABC shows. CBS: At CBS you can watch shows for free after they've aired on CBS. There are quite a few advertiser interruptions during the streaming video, but you'll know when they're coming because they are clearly marked on the screen. DisneyNOW: You can watch Disney channel movies at DisneyNOW. There's a page that lists all the shows you can watch, plus some fun category pages. FOX: FOX posts free TV shows for you to watch one day after they've aired on TV but they remain locked so that you can watch them until eight days after they've aired. The CW: The day after the CW television shows air you'll be able to watch them for free at their website. PBS: PBS has a ton of free TV episodes online including Masterpiece Theater, PBS NewsHour, and Frontline. MTV: MTV has full episodes of all your favorite MTV shows, including clips and after shows. Freeform (ABC Family): The day after the TV shows on Freeform air, they are put online so that you can enjoy them. A&E: Watch full episodes of shows like Bates Motel, Storage Wars, and Dog the Bounty Hunter.